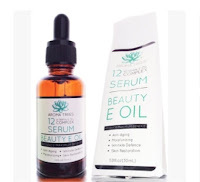 Aroma Trees 12 Complex Beauty Vitamin E Oil is a combination of carrier oils thall with their own, unique, attributes and skin benefits, that together work to moisturize the skin, prevent sunburn, tone the face, fade birthmarks, prevent skin cancer and fight wrinkles and age spots. It works as an under eye treatment and makeup remover. This oil also works as a massage oil. It can also be used as a bathing oil for an aromatherapy oil bath. The oil is a very powerful oil and it only takes a few drops for the maximum benefit. If you don't like the feel of oils in your skin, add a couple of drops to your moisturizer. It works best by applying a couple of drops to damp skin and massaging in. I like how this oil sinks right into the skin. It does fade scars, especially acne scars. The oils in this are great for a number of things and it is a good all around oil. 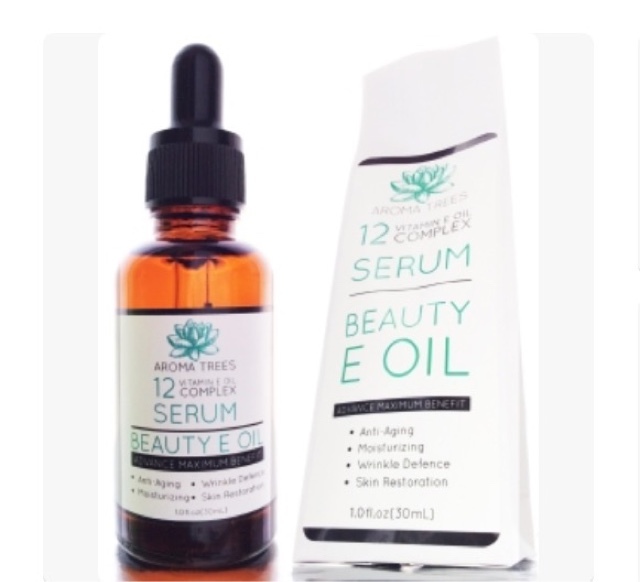 This oil is available from Amazon.com for $25.99: http://amzn.to/1dEAJGu.